They should be made to pay all related cost, its the drugs and rush they feel that keeps them coming back. There so alert while we sleep there blood pumping fast like a junkie. They cause thousands of dollars in damage and get a hot meal and a bed to come down. They should have there own property sold at a auction and there dole money directed to the victim until every cent has been paid to rectify there wrong. Then they should have to wear a curfew gps for at least 12 Months so the parents will have to take some responsibility for there kids. They report to social services and watch videos of the impact they cause. All at there cost. Random drug testing and all records kept on file, so as they get older the police pull them over and drug test them for there past. Then there kids will watch and understand the past will catch up and haunt you in front of your family. be careful Brad, ..that news report says .............""308 cars have also been stolen..""
Hahaha, glad you saw it too. 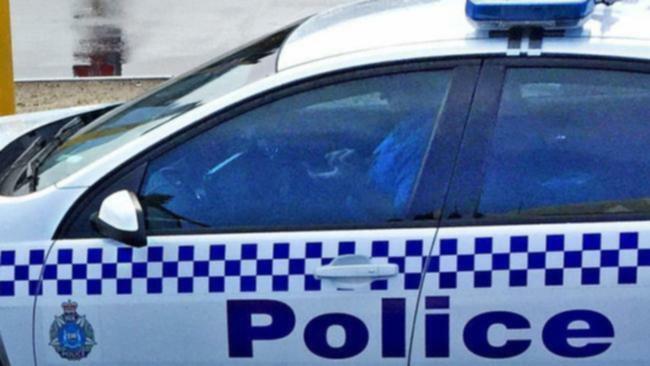 FOOTAGE has emerged of a stolen police car being driven through Perth streets by an opportunistic thief who jumped behind the wheel as officers focused on their job. Officers had left the car on Williamson Avenue in Cloverdale at 8.15pm yesterday to chase a man suspected of committing a home burglary. The man was arrested in the backyard of a house on Hardey Road but when the officers returned to Williamson Avenue, the police car was gone. Edited by cameron, 12 July 2018 - 01:20 AM. As much as I despise a car thief, I had to try pretty hard not to smile in front of my boys when this was on telly last night. As much as l laughed when I saw this. Edited by RallyRed, 12 July 2018 - 04:42 PM. A case of "Do as I say" ..... "Not as I do". Hey hanra, I did hear a story about two guys dressed up as baked beans going around Australia stealing cars. Last I heard they ended up in Cairns ? More police on the ground. 1) Concealed elaborate immobilizer devices (more than one) of which create high time consumption to discover/figure out (and in places only accessible by escalating the vehicle). I wont mention specifics here, this only educates the grubs. But how about CCTV in your garage, at least you'll capture their descriptions. Another idea, I currently use, is silent motion detectors. If as much as a cockroach (multi legged type) moves in my garage, I'll know about it long before they do. I also have an back to base alarm system. My phone rings the second the alarm detects motion. Always remain a step ahead. Give them an inch and they'll gladly take a mile. Whenever I park a priceless vehicle, there's two cars parked behind it with keys nowhere to be found. Take one and you'll need to take all three. A bit of brain power is far more effective than any padlock or garage door.